Uttarakhand has a contribution of a mere 0.84% of the total population of India. But in terms of talent, the state of Uttarakhand is far ahead than the rest of the states of India. In today’s era, if we consider the Television industry, we come across the fact that the Indian Television industry is mostly dominated by the actors belonging from Uttarakhand. Let’s have a sneak peek into the 10 leading television actresses from Uttarakhand. Another popular TV actress, Barkha was born on 28 December 1979 in a Garhwali(Pahari) family in Hisar. Barkha’s father was in the Army and that is why she spent her childhood in various cities. Barkha Bisht is a very popular star of the Television industry and she has also acted in some films. Barkha’s father is working as a Dean in the College of Engineering Roorkee after his retirement. After a relationship of 2 years, Barkha got married to actor Indraneil Sengupta on 2nd March 2008. Shruti Ulfat was born in a Garhwali(Pahari) family of Dehradun. She did her schooling from Dehradun and later she moved to Mumbai to pursue her acting career. Shruti got married to a Dehradun-based wellknown theater artist Alok Ulfat. Alok and Shruti also own acting schools in Dehradun and Mumbai. Roop was born on 15th October 1988 in a Kumaoni family from Almora. She completed, her schooling from Almora and she completed her graduation from Graphic Era Institute of Technology and gained a degree in Instrumentation and Control Engineering. Before starting her acting career, Roop worked as a software engineer in Infosys. Aditi Sajwan was born on 12th Feb 1991 in Dehradun in a Garhwali Family. Aditi’s father was into a transferable job and as a result, she spent her childhood in various cities. She completed her BMM degree from Mumbai itself along with her acting. She started her acting career with a ZEE TV’s popular show Meri Doli Tere Angana. Vibha earned recognition in the Television industry at a very young age. She was born on 8th September 1990 in Dehradun. Vibha Anand’s childhood was solely spent in Dehradun and later she moved to Mumbai to pursue her acting career. Vibha started her career from the famous show Balika Vadhu as Sugna which gained her huge fame. She has been popularly known as the Vampire girl. She was born on 20th November 1987 in a Kumaoni (Pahari) family. Sukriti did her initial schooling from St. Mary’s Convent High School, Nainital after which she moved to Mumbai. She acted in serials such as Jersey Number 10 and before her acting career she worked in an international BPO as a Tele caller. 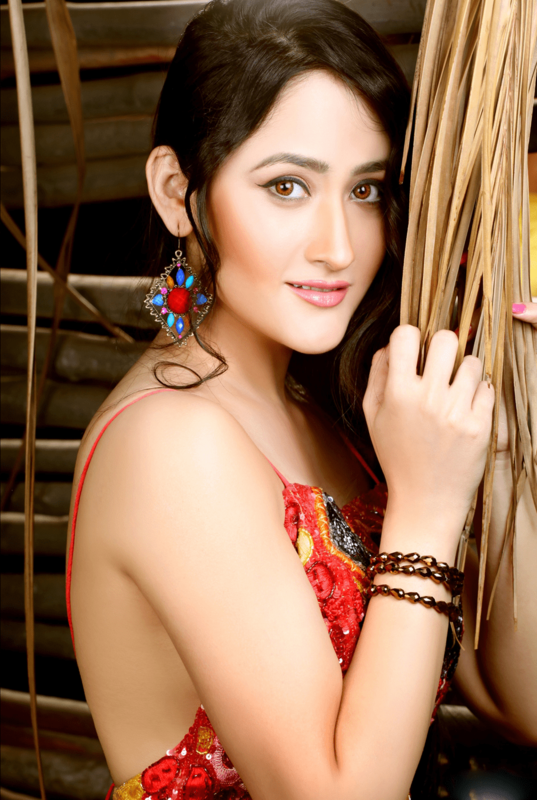 Ragini Nandwali was born on 4th September 1989 in Dehradun. Ragini did her schooling from Doon international School, Dehradun and then she completed her post graduation in English Literature from Delhi University. She acted in ZEE TV’s popular show Mrs. Kaushik Ki Paanch Bahuein and she has also acted in a number of Tamil, Telugu, Marathi, Malayalam and Hindi Movies in a lead role. Chetna was born on 3rd May 1989 in Nainital and she spent her childhood in Dehradun. She belongs to a Kumaoni (Pahari) family. She started her acting career with the Tamil movie “Neeyum Naanum” and now she is a well-renowned actress of Television industry. She was also very popular in MTV’S show Fannah. She was born on 23rd August 1989 in Dehradun. She belongs to the Negi Kshatriya clan of Garhwal. She did her schooling from St. Mary’s higher secondary school Dehradun. After her schooling, she completed her graduation from DAV college Dehradun. She has also been the winner of the prestigious beauty content Miss Uttarakhand and she earned recognition for her role as Purvi in one of ZEE TV’s popular show. Awesome ? Proud to be an uttrakhandi ??? ?